Doteasy cPanel Online Website Management System Live! Doteasy has redesign the web interface so icons are easily understood and easier to remember. Your cPanel Home Page is customizable so you can have the function you want where you want. 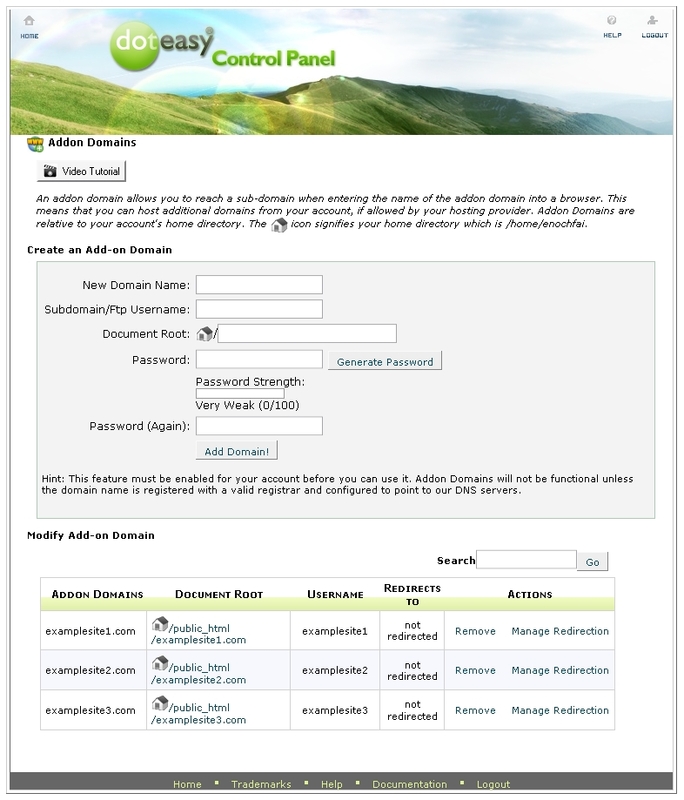 Host and park multiple domains on one account. You've asked. We've delivered. You can now host and manage multiple domains from one panel with one username and password. 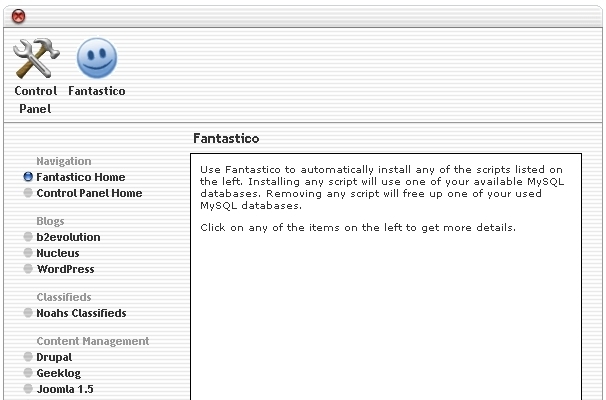 Fantastico is a Script Auto-Installer which helps website administrator to install scripts without all of the hassles usually associated with setting up Wordpress, Drupal, Joomla 1.5, Crafty Syntax Live Help, phpBB, OS Commerce, Zen Cart, Coppermine Photo Gallery, Gallery 2, Moodle and many more.